When someone mentions vegetable oil, the first image that’s likely conjured up in an individual’s mind is something that’s used for cooking. 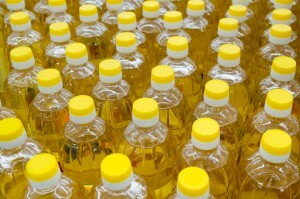 While that’s a key purpose, it also has a number of uses when it comes to such areas as industrial production, as an additive in certain fuels and in the making of certain pet foods and can mean many different types: Canola Oil, Coconut Oil, Corn Oil, Cottonseed Oil, Peanut Oil, Soybean Oil, Sunflower Oil and many others. That versatility is one reason why the bulk liquid transport of vegetable oil is a vital link in the economy of not only the United States, but the world. Such importance demands that getting it from the source to its intended destination happens without any issues. That’s because, like most commodities of this sort, it runs the risk of being ruined unless the proper steps are taken to transport it. Think about the economic disaster that would occur without having a consistent transporter of vegetable oil available at your fingertips. Any type of restaurant, diner or eating establishment would lack vital ingredients that enhance the flavors of the foods they offer. The clientele of these places would quickly fade away, while the everyday cook would also be hard-pressed to produce items for their own consumption. In addition, the production of such things as soap, cosmetics, paints and the treating of wood grounds to a halt. Finally, the production of biodiesel and the burgeoning area of alternative energy would be cut off, which would be reflected in higher prices for fuels and tax the environment that much more. The above examples are only a microcosm of the overall scope of how important this product and its proper transport are in relation to the everyday flow of the economy. Such circumstances would also trickle down to the liquid transportation industry itself and strike a severe blow against it. That’s because an estimated one-third of business in this area stems from moving vegetable oil from one place to another. To avoid such situations, the steps that need to be taken focus a good deal of their energies on the containers and tankers used in the transportation of vegetable oil. These are made of stainless steel and equipped with the insulation needed to maintain the integrity that every customer expects. 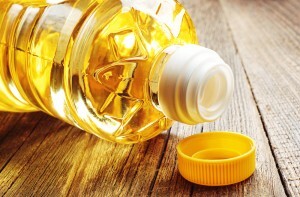 Given the delicate composition of this product and the wide variances involved, making sure that containers that hold the vegetable oils are properly cleaned and prepared for each succeeding order is something that can often be overlooked. For example, a thorough cleaning is an absolute necessity, since residue from any previous travels can lead to either spoilage or a compromising of the overall quality of the product. One way to alleviate concerns about bulk transportation of vegetable oil is to make sure that the company performing this task is equipped with the most current versions of refrigerated transportation services available. This not only factors in the containers that will be used, but the technology involved that will be able to track each component of this journey, so that any problem that may develop can be detected immediately. Using the right tankers to transport vegetable oil helps take care of certain aspects that cover areas like quality control and the overall loading process. That’s why the use of the BIG Red Flexitank has become standard, since specific regulations involved with bulk liquids like vegetable oil can be addressed while not affecting a company’s bottom line. One of the reasons stems from the fact that loading doesn’t require a forklift, while another is the shorter amount of time needed to load. As the national leader when it comes to specialty bulk liquid transport, Kan-Haul has the experience, equipment and credibility to properly handle the transportation of your vegetable oil. This is accomplished by focusing on the most economical avenue for the customer, but also takes into account the necessary safety issues inherent in this unique facet of the trucking industry. By combining those two factors, a win-win situation is for both the customer and their subsequent clients.